Another interesting piece! I like the colors and layered effect. I can tell you put some thought into this – the details. Honestly, this one does not speak to me quite as much as the other did, but then I was born in 1970 and have seen far too many early sci-fi movies; difficult to overcome certain iconic images in my own head. Ha ha! Kind of sad for me, really - has nothing to do with your work. But what I DO grasp is that this image means something deeply meaningful to you – that definitely comes across in the vibe. It’s bold. It is difficult to share art – takes a bit of bravery. I am very happy for you – in your journey to Self and the joy of expressing what is inside of you through art. It’s a gift for yourself, and others, too. "It is difficult to share art – takes a bit of bravery." way to put the pressure on Delsol! accessing and displaying a hidden/protected portion of self. Ha ha Horace; no pressure intended, but you touched on what I meant. I'm not talking about soldier kind of bravery - but yeah, there is definitely a feeling of vulnerability. My 9 yr old daughter just started writing her first little book. She wanted me to read what she's written, but also was aftaid to - and I'm her mom! Finally she asked if I would take a look, but the whole time she had her head under a blanket saying, "I'm so embarrassed!" Lol. I thought, why? Why be embarrassed? Then I realized it's kind of human nautre to be uncomfortable with being exposed like that - well, nature or nurture - not sure which, but there is something to it. IChill, sorry if I went off topic in your lovely thread - that's part of art too, right? It triggers thoughts! Peace, d.
Love your latest. An old familiar feeling. Hi Everybody... Somethin I Made, long ago. Also been very Long I posted in this thread. 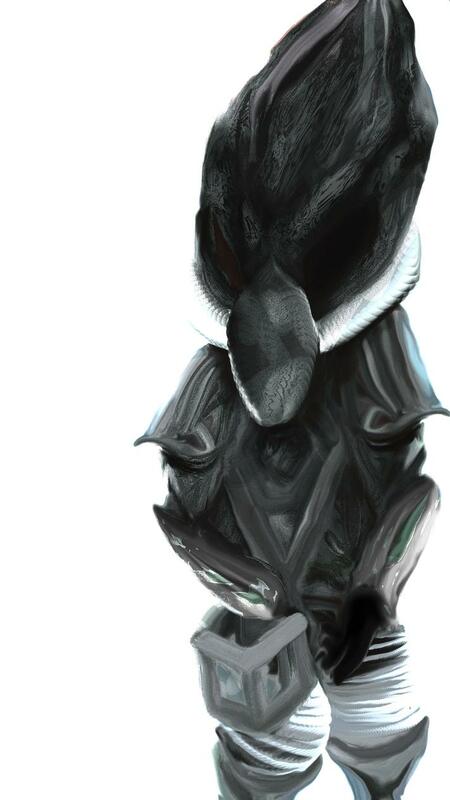 An Alien Greyish battle explorer suited up with a hexagon cube in its hands. A Symbol of Power, through the universal divine design. A knowing of being in the known. You know, when you are in the known. this is just a fantasy drawing to boosting & releasing the creativity forces that exist in each one of us. An ancient Fire inside of us. We all posses frightening highly trained & specialized imagination powers. "I DISAGREE ICHILL said the lurker without replying into this thread.. heh oh huh, it's not your fault, dear traveler. Embrace this kind of art. A great guy, mr nice guy, I speak of the alien ofc.. The Alien is beautiful ^^ You're beautiful. This force of unlimited creativity that is just waiting there to be used by each person, since we are all creators in this realm with our dear co-creators! Last edited by IChill : 03-02-2018 at 06:34 AM.